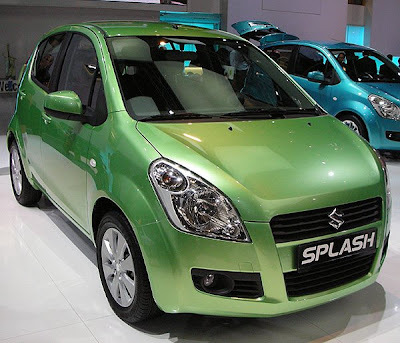 Working on the lines of going for the first car in the family, I've been also following the yet to be launched Maruti Suzuki Splash, which is being seen as a replacement of the very successfull WagonR. Though the concept version of the car was shown at the Paris Motor show back in 2006, India got the first glimpse of the car this year at the Delhi Auto Expo 2008. If we are seeing a replacement of the WagonR, then I must admit it's a very desirable replacement at least from my point of view as I never liked the WagonR from the design perspective, even though technically it's one of the best in it's segment. The production model of the car was first unveiled Frankfurt Motor Show last year and is already on road in European countries. Build on the platform of the Swift, it's being said that the car would be available in 3 different engine options varying from 1.1l to 1.3l, with 1.1l and 1.2l options for Petrol versions with power output of 65ps and 84ps respectively. For the Desile variant, the 1.3l Swift DDL engine might see itself enjoying the Splash. All the variants would be featuring 5 speed mannual gear box and would be Euro4 compliant. Placed in a segment in between of the WagonR and the Swift, apart from featuring high seating position, good visibility and spacious interiors, the overall length of the car would be less than 4m and would be 30mm shorter than the Swift. 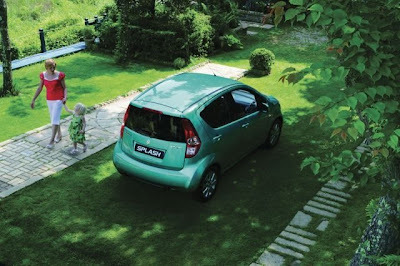 The boot space is also complimented by foldable rear seats providing a wooping 1150 litres of boot with the seats folded. 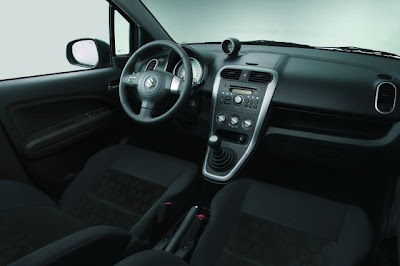 The interiors of the version launched in European countries have a lot of similarities with the Hyundai i10, but would really love if the car also features adjustable steering height like the i10. If plans for the Swift gets delayed I would have no problems in waiting for the Splash or the upcomming A-star! !